SACRAMENTO, Calif. -- The game between the Sacramento Kings and Atlanta Hawks started Thursday after a 19-minute delay due to protesters who were locked arm-in-arm surrounding entrances to Golden1 Center. Only a few hundred fans made it into the Golden1 Center before police decided to not allow anyone else to enter and several of those who did get in moved down into the lower bowl of the arena, leaving the upper deck empty. 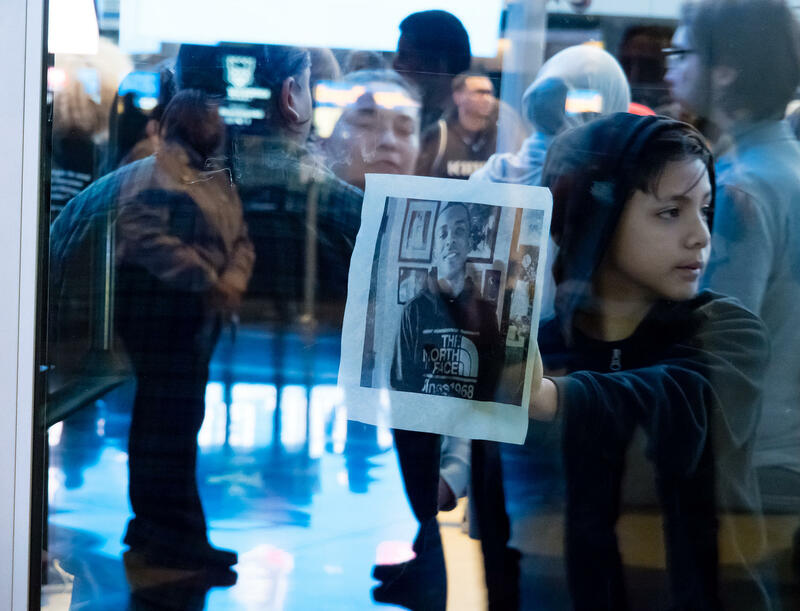 Black Lives Matter organized Thursday's protest after the fatal shooting of Stephon Clark, who was unarmed and in the backyard of his grandparents' house Sunday night when he was shot by police 20 times. Officers said they thought he had a gun, but he was holding a cellphone. The police "will pay for this," Clark's brother Stevante told CBS News' John Blackstone Wednesday. "You're going to know his name forever ... You're going to remember it like how you know Trayvon Martin, Mike Brown, Eric Garner, Tamir Rice. You're going to know him. You're going to remember this." Sacramento Mayor Darrell Steinberg questioned police policies for providing medical aid after a police shooting, but said he can't second-guess the split-second decisions of the officers. He praised Sacramento Police Chief Daniel Hahn, the city's first black police chief, for releasing the videos and other information promptly. Hahn has promised transparency and to work for better community relations since he took over as head of the department last year. Steinberg said the department has improved its policies since the fatal shooting of a mentally ill black man in 2016, and said the council will address questions including the department's use of force policies and training at a meeting April 10. The shooting has ignited questions by relatives, activists and others. "He would never want to leave his kids," Manni said in an interview with ABC's Sacramento affiliate. "I just tell them daddy's always going to be with us, daddy's in our hearts, always and forever. He's always going to be with us. Don't forget that."